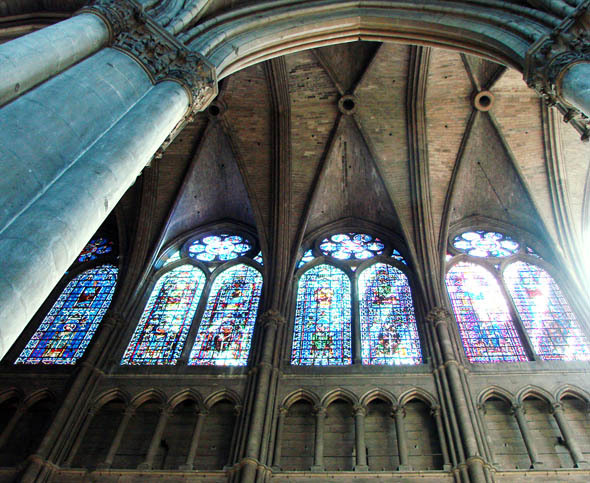 The Notre-Dame de Reims is the Cathedral of Reims, where the kings of France were once crowned. 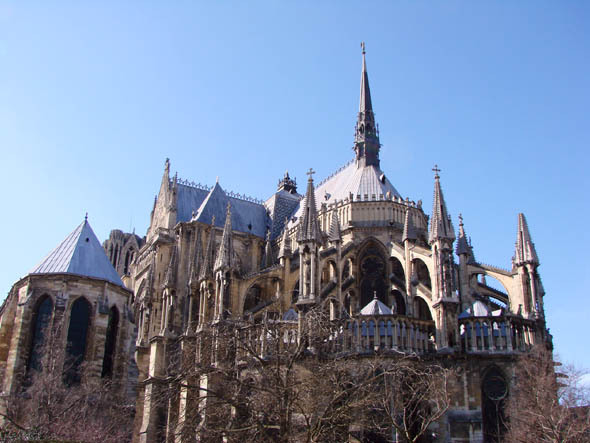 It replaces an older church, which was destroyed by a fire in 1211 and built on the site of the basilica, where Clovis was baptized by Saint Rémy, bishop of Reims, in AD 496. 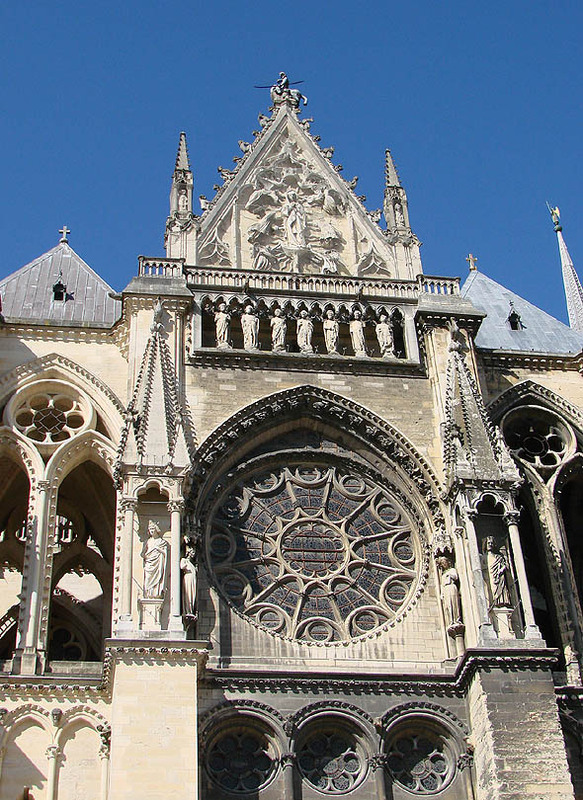 The cathedral was completed by the end of the 13th century, with the exception of the west front. The towers, which are 267 feet tall, were originally designed to rise 394 feet. The three doorway portals are laden with statues and statuettes. The central portal, dedicated to the Virgin Mary, is surmounted by a rose window framed in an arch itself decorated with statuary. The “gallery of the kings” above shows the baptism of Clovis in the centre and statues of his successors. 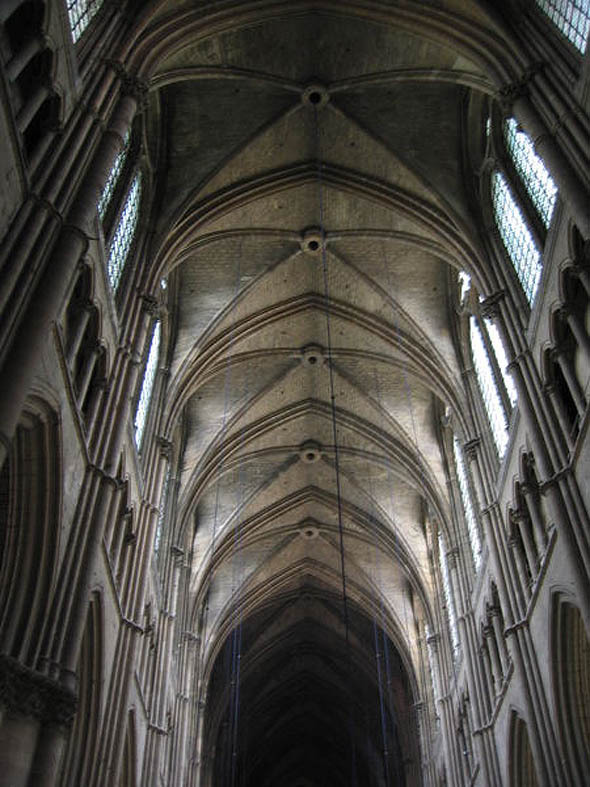 The interior of the cathedral is 455 ft long, 98 feet wide in the nave, and 125 feet high in the centre. 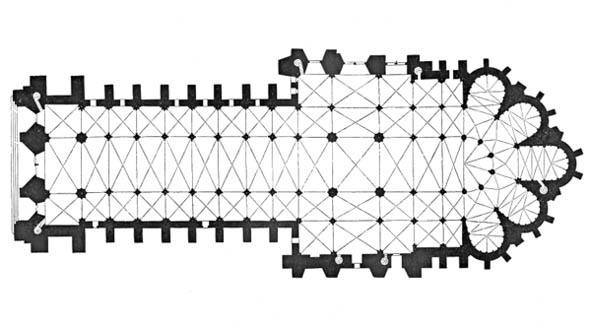 It comprises a nave with aisles, transepts with aisles, a choir with double aisles, and an apse with ambulatory and radiating chapels.